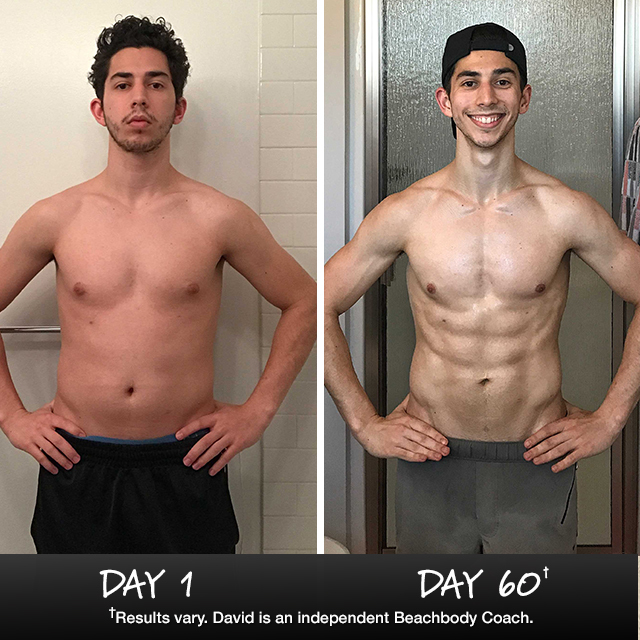 In just 60 days, David got lean and strong with INSANITY MAX:30. 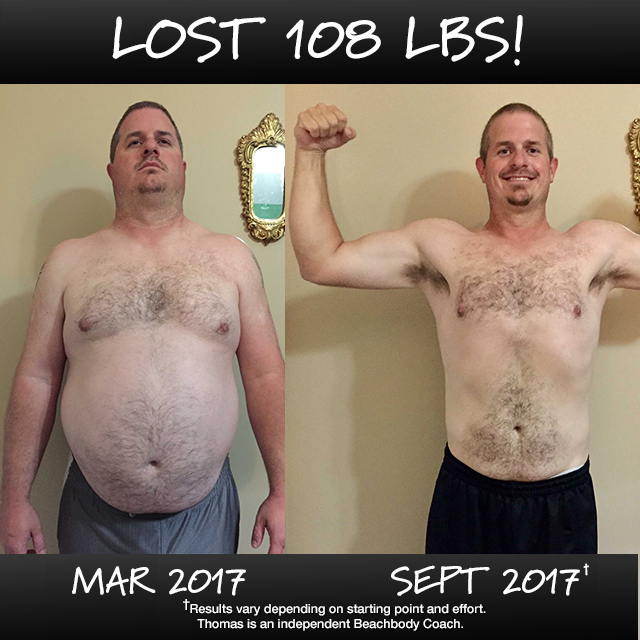 He lost 16 lbs. and won $1,000! “I love Beachbody On Demand. Having access to all of Beachbody’s programs, anywhere, anytime, is so valuable. All of the Beachbody programs I’ve tried are amazing, but I have to choose INSANITY MAX:30 as my new favorite. I loved that the workouts were 30 minutes long, and I also loved incorporating the Portion Fix for the nutrition guide to make eating healthier that much easier. I liked that it uses portions/colors instead of counting calories. Thomas works 14 hours per day, but he didn’t let his busy schedule stop him from achieving this stunning transformation. He made time for 30-minute workouts in the morning (so that he can spend his evenings with his family), and in 6 months, he lost 108 lbs.! “Beachbody opened my eyes to an entirely new life; an entirely new me. From the very first day of the program, I felt confidence! I felt optimism! And, the results continued from there. Every day, I feel stronger — physically and emotionally — and I see my body become more sculpted each week. I lost over 100 pounds in six months, and now my body is as strong as it was in my early 20s. It’s an amazing feeling, and at 34 years old, I never thought I’d feel that again! I find myself smiling in the middle of my workouts because I can’t believe that I can do this stuff! Me! 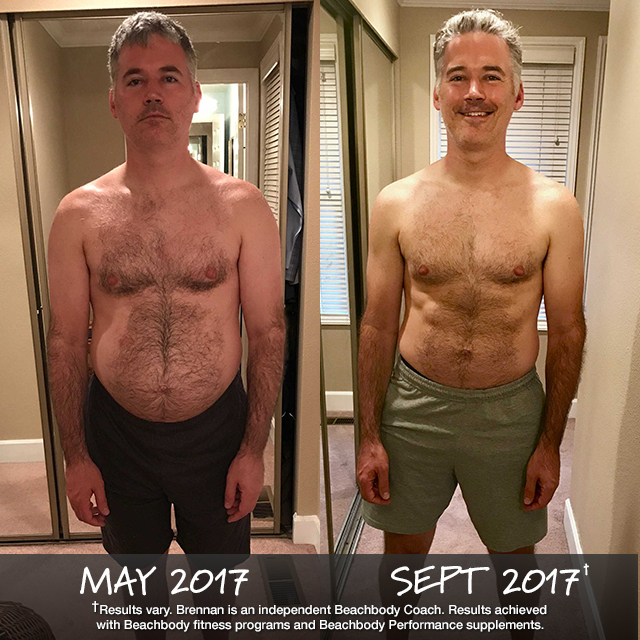 The fitness programs and nutrition plans on Beachbody On Demand helped Brennan shed 21 pounds in less than four months. Now, he has more energy to spend on his family and a $1,000 prize from the Beachbody Challenge contest. “Beachbody gave me a framework for eating and exercising that is easy to follow and makes results happen. I’ve achieved amazing definition in my muscles and abs, dropping 21 pounds and 21 inches, and my energy lasts all day long. I’m a better dad, husband, and person as I now have the energy to be more engaged with my family. This journey has been amazing! I’ve done four Beachbody programs, and I love how easy it is to access all the workouts, meal plans, and calendars on Beachbody On Demand. 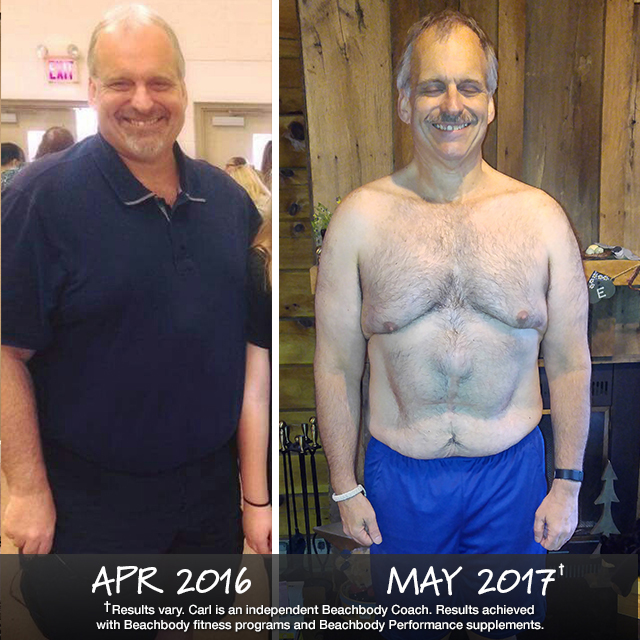 At age 56, Carl achieved a life-changing fitness transformation that strengthened his body, mind, and spirit. He lost 84 pounds with Beachbody programs and won $1,000 in the Beachbody Challenge. “My Beachbody Coach and her team have encouraged me and supported me throughout this process, which has kept me going. Over the last year, I have participated in 10 Beachbody Challenge Groups, and I find that the more I personally engage with the group, the more benefit I receive from it. I don’t believe I could have come this far without them.